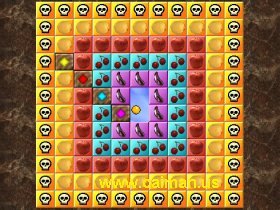 Caiman free games: Frozen Fruits 2 by Karl Hofer. Frozen Fruits 2 is a sequel to Frozen Fruits. It is an excellent game. 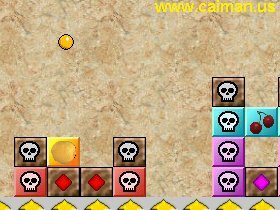 The goal is to knock out the bricks which have the same color as your ball while avoiding the skulls which are the same color. 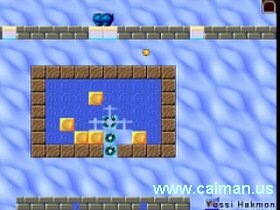 There are 35 levels (rooms) to this game. 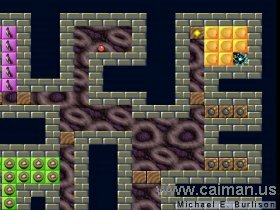 Some rooms may seem impossible, but they all can be solved.